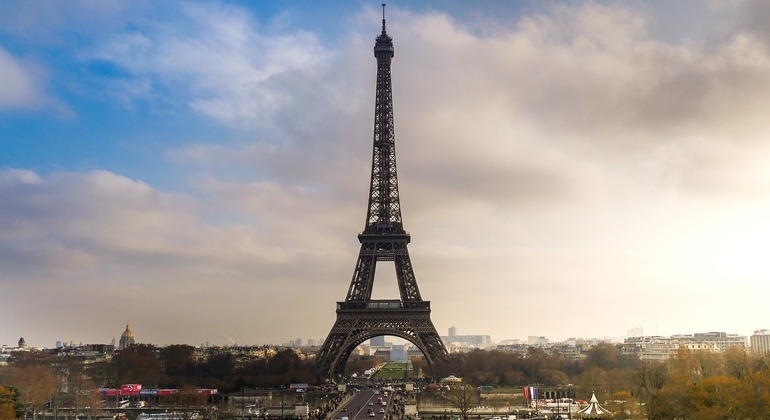 Explore the Eiffel Tower like never before as you climb this monumental tower by foot. Your guided tour begins at the steps by the end of the Pont d’Iena. From here, you will walk with your guide to the ticket entrance of the Eiffel Tower where you’ll have your first opportunity for a close-up look at the monument while your tickets are arranged. As you wait, your guide will explain the fascinating history of this iconic structure’s creation. Please note that during busy periods, there may be a wait to clear the line for the stairs and security. Rest assured that this line will move much quicker than the line for the elevator! Begin your ascent, hearing stories behind the tower's creation and near demise as you take in the unique views from the staircase. Take a break on the 1st floor and hear little-known facts about the tower and her architect. Dare to walk on a 57-meter high glass floor to take a few souvenir photos.